Please recommend an expert or experts for advice and possible project management of an envisaged large scale worm tea production for grain (Maize, Soya, Sunflower, etc),commercial vegetable and orchards for organic farming and replacement of chemical farming. Hello Bafana, I am sorry that I am only getting back to you now! For some reason I didn't see your question till earlier on today. I have been a worm farmer for more than 18 years now and if you would like some information about worm tea and its production you are welcome to contact me. I am in Cape Town at the moment and should be here for at least a few more month. 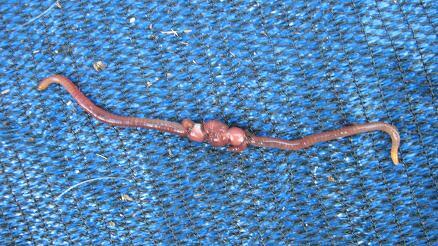 You can get hold of me by either visiting my other website www.globalworming.co.za or just dropping me a message here on this site and we can discuss your plans that are involving the production of worm castings and worm tea..
thank you for your excellent comment. Your worm tea brewing recipe sounds similar to the ones we are using with the only main difference being the amount of Worm castings used. We are adding usually a larger amount of worm castings to our worm tea brewing batches but I trust that you had already great success with your method. Do you farm yourself and are you making use of worm tea for your own needs as well? How often do you apply worm tea to your crops and what kind of area and how many liters of worm tea do you use per hectare? I am always glad to hear the experiences from other experts like yourself as well as hobbyists. I wish you a great weekend and blessings for you and your family. 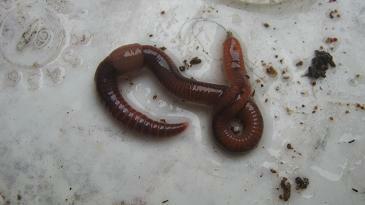 Worm tea is a very good way to get a large scale application for farming. Use the following method, to produce 1000l of tea. Put 25kg of good quality worm castings into an ibc tank with a large pond pump. If tap water is used run the pump with large air stones for 3 to 4 hrs to remove any chlorine that might be present before adding the worm castings. Once ready add your teabag suspended with castings and add around 1L of molasses and any other beneficial additives such as seaweed, rock dust, fish emulsion and run the pump for 24 to 35 hrs. If have access to a microscope take a sample of the worm tea mix and look at it to see how well the microbes are doing. When you are happy with the result use it swiftly. The worm tea is best used within 3 to 4hrs after the brewing process has been finished. A good way to apply it is by using a crop sprayer. Join in and write your own page! It's easy to do. How? 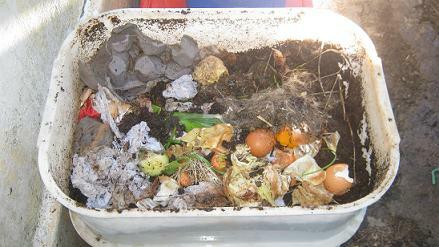 Simply click here to return to Questions about worm composting. 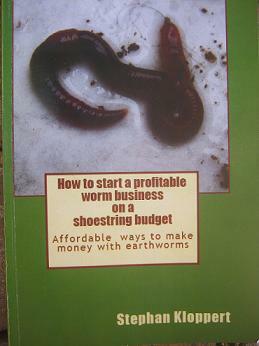 Disclaimer: The link to the worm farm is my affiliate link. Meaning, I will get a small commission at no extra cost to you, should you purchase the product through my affiliate link. 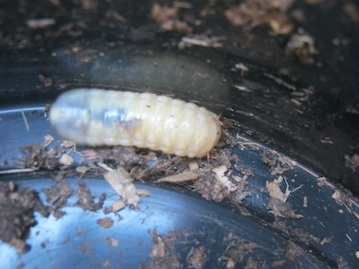 Small black beetles in my worm bin! 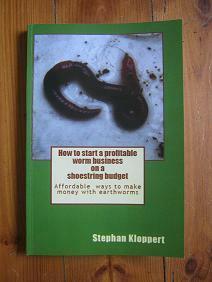 My book below explains in detail how to make money with earthworms!